Naeseong Stream is a natural sand-bed river that flows through mountainous and cultivated area in northern part of Gyeongbuk province. It had maintained its inherent landscape characterized by white sandbars before 2010s. However, since then changes occurred, which include construction of Yeongju Dam and the extensive vegetation development around 2015. 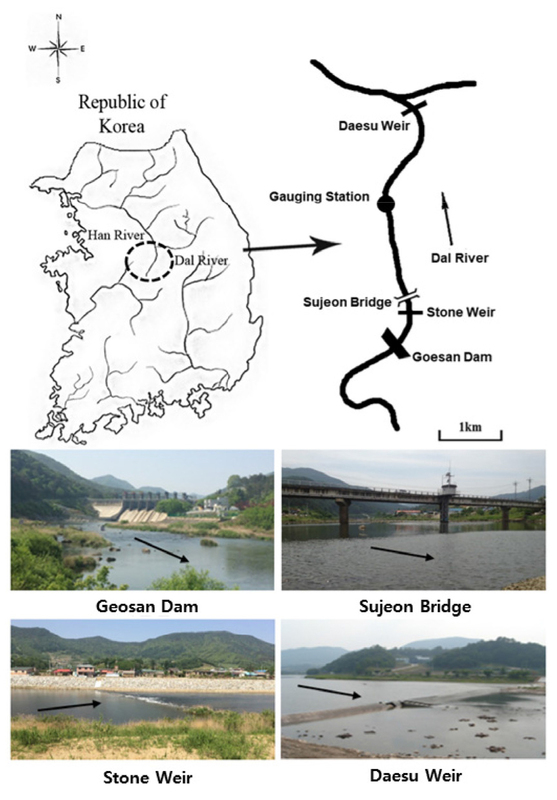 In this study, long-term monitoring was carried out on Naeseong Stream to analyze these changes objectively. 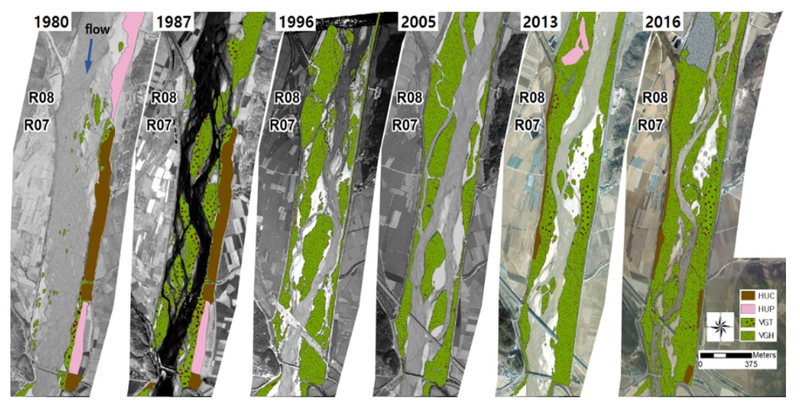 This paper aims to provide a dataset of the investigation on channel morphology and vegetation for the period 2012-2018. Methods of investigation include drone/terrestrial photography, LiDAR aerial survey and on-site fieldwork. The main findings are as follows. Vegetation development in the channel of Naeseong Stream began around 1987. Before 2013 it occurred along the downstream reach and since then in the entire reach. Some of the sites where riverbed is covered with vegetation during 2014~2015 were rejuvenated to bare bars due to the floods afterwards, but woody vegetation was established in many sites. 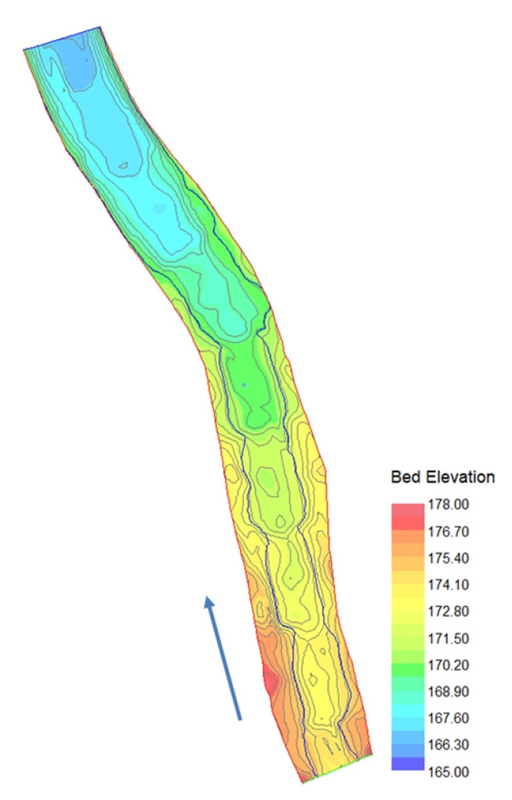 Bed changes occurred due to deposition of sediment on the vegetated surfaces. Though Naeseong Stream has maintained its substantial sand-bed characteristics, there has been a slight tendency in bed material coarsening. Riverbed degradation at the thalweg was observed in the surveyed cross sections. 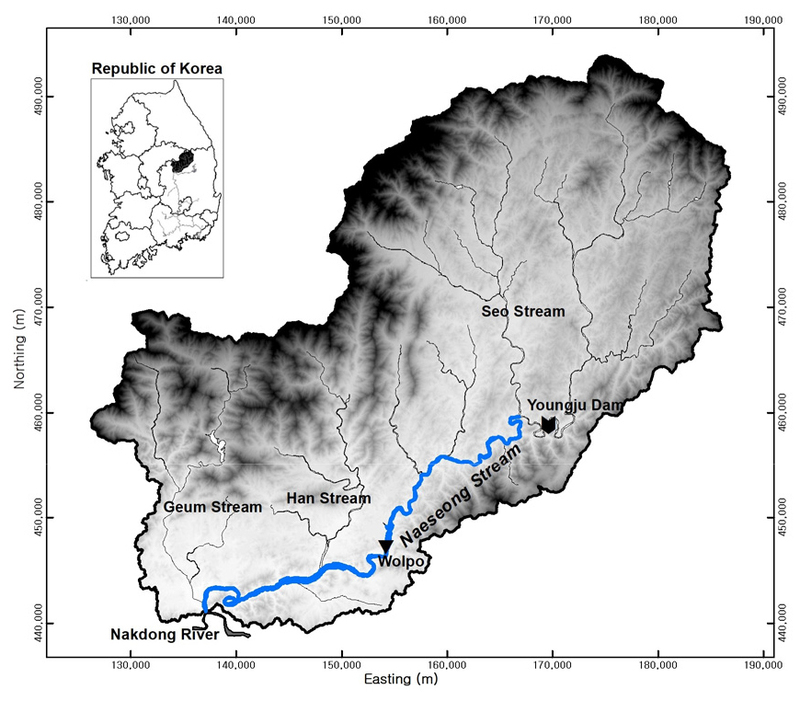 Considering all the results together with the hydrological characteristics mentioned in the precedent paper (I), it is thought that the change in vegetation and landscape along Naeseong Stream was mainly due to decrease of flow. 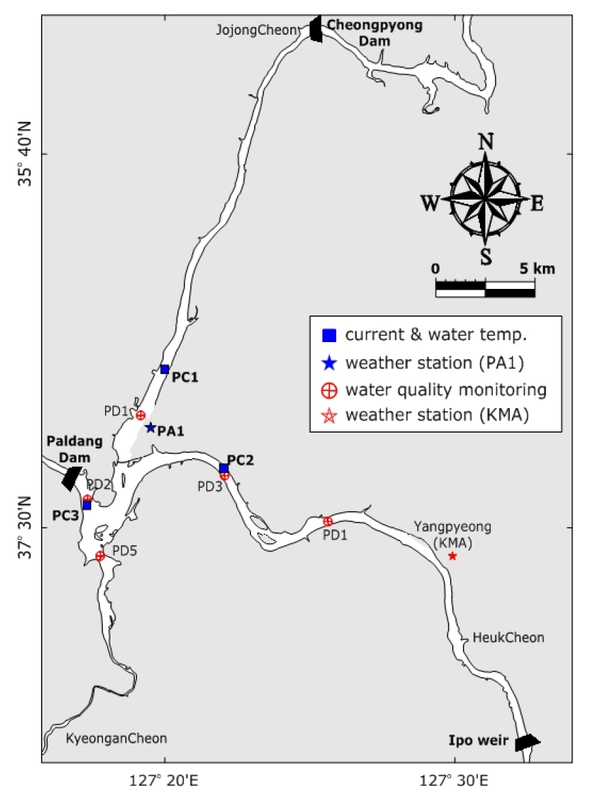 The effect of Yeongju Dam on the change of the riverbed degradation was briefly discussed as well. 내성천은 경북 북부의 산지 및 농경지를 관류하는 자연성이 높은 사질 하상 하천으로 2010년대 이전에는 백사장이 발달한 경관적 특징을 유지하였다. 하지만 영주댐이 건설되기 시작하고 2015년 전후로 식생이 광범위하게 활착하는 등 하천 변화가 발생하였다. 이 연구에서는 이러한 변화를 객관적으로 분석하기 위해 영주댐 하류 내성천을 대상으로 장기 모니터링을 실시하였으며, 이 논문의 목적은 2012~2018년 기간에 대해 하천 지형 및 식생 등에 대한 조사 자료를 제공하는 것이다. 조사 방법으로 드론/지상 사진 촬영, LiDAR 항공측량, 현장 조사 등이 포함되었다. 장기 모니터링을 통해 발견한 주요한 사실들은 다음과 같다. 내성천 하도의 식생 활착은 1987년부터 시작되었으며, 2013년 이전에는 하류 구간에서, 그 이후로는 전체 구간에서 식생 활착이 발생하였다. 그 중 일부 지점은 홍수로 인해 재나지화 되었으나 여러 구간은 목본이 활착하였고, 퇴적으로 인해 하도의 형태 변화가 발생하기도 하였다. 내성천은 모래 하상의 본질적 특성을 유지해 왔지만, 최근 약간의 조립화 경향이 나타났으며, 조사 단면에서 최심하상의 저하가 관찰되었다. 본 연구의 조사 결과를 I편에서 분석한 수문학적 특성과 함께 종합하여 볼 때, 내성천에 나타난 식생 및 경관상의 변화는 주로 유량 감소 의한 것으로 생각된다. 이와 함께 영주댐이 하상 저하에 미친 영향을 간략하게 고찰하였다. The North Korean laws on natural environments, land and infrastructure were comprehensively analyzed in order to help establish the legal system to solve problems of ecosystem and land management in North Korea. The citizen’s environmental rights in North Korean Constitutional Law emphasize the aspect of conservation of the natural environments. The laws on the managements of natural environments and land are relatively integrated in North Korea. In the management of natural environments, ecosystem conservation is centered on designation of natural protected areas. Priority for infrastructure construction is emphasized in land management. 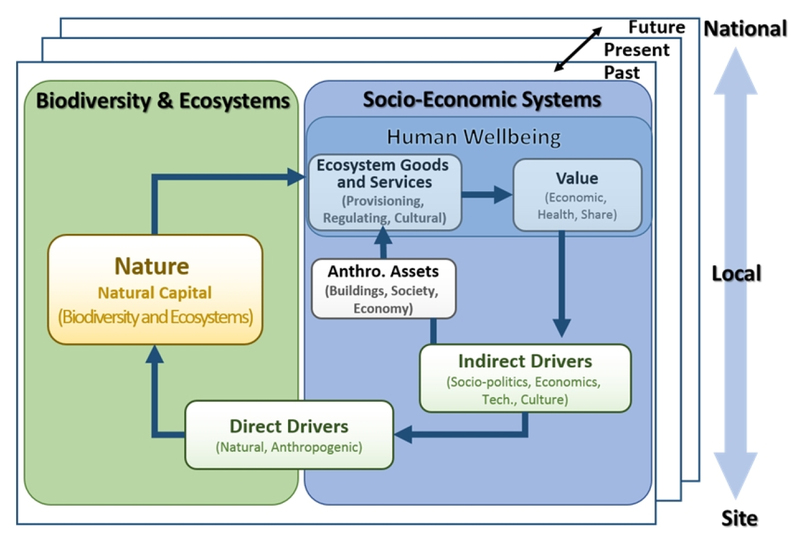 The economic and technical support is needed to build advanced legal systems for the conservation of natural environments and ecological land management and to improve their performance of law enforcement. 본 연구에서는 북한의 생태계와 국토 관리에 대한 문제를 해결할 수 있는 법적 체계를 수립하는데 도움을 주기 위하여, 자연환경과 사회기반시설에 대한 북한의 법령을 종합적으로 분석하였다. 북한의 헌법에서 환경권은 자연환경 보전의 측면이 강조되어 있다. 북한에서는 자연환경과 국토 관리에 대한 법령은 비교적 통합적으로 제정되어 있었다. 자연환경 관리에서 자연보호지역 설정을 중심으로 생태계 보전이 이루어지고 있다. 국토관리에서는 사회기반시설에 대한 우선순위가 강조되고 있다. 북한의 자연환경과 국토 관리에 대한 선진적인 법 체제 구축과 법 집행의 성과를 거두기 위하여 경제적, 기술적 지원이 요청된다. 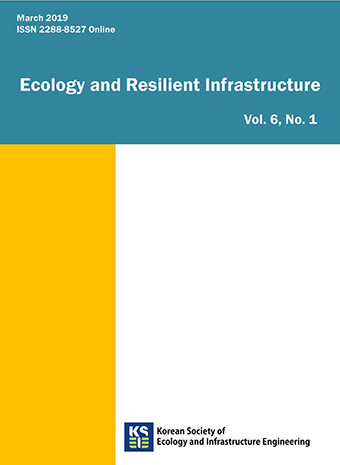 This present study conducted the impact of the restoration of low-flow channel on fish habitat in a reach of the Wonju Stream, Korea. The target species were Zacco koreanus, a dominant species in the middle- and upper-stream of Wonju Stream. The River2D model was used for the computation of the flow and the habitat suitability index model was used to estimate the quantity and quality of fish habitat using habitat suitability curves. In order to restore the study area, the low-flow channel was identified through the bankfull discharge of the study reach, and the best hydraulic section was designed. In addition, various restoration techniques were applied to the low-flow channel through rocks, pool/riffle structures, and the change of the channel width. Simulation results indicated that the restoration of the best hydraulic section effects decreased habitat suitability for the target species. However, when various restoration techniques were applied, the WUA (Weighted Usable Area) was improved by about 11%. 본 연구는 저수로 물길 복원 조성을 통한 복원이 어류 서식처에 미치는 영향을 파악하기 위하여 원주천을 대상으로 물리서식처 분석을 수행하였다. 대상 어종은 원주천 중･상류에 서식하는 우점종인 참갈겨니를 대상으로 하였다. 흐름 분석은 2차원 모형인 River2D 모형을 사용하였으며, 서식처 분석은 서식처 적합도 곡선을 이용하여 서식처의 양과 질을 산정하는 서식처 적합도 모형을 사용하였다. 먼저 저수로 복원을 위하여 대상 구간의 강턱유량을 통하여 저수로 물길을 확인하고, 이를 통해 수리학적으로 유리한 저수로 단면을 설계하였다. 또한, 저수로 구간에 거석, 여울/소 구조, 그리고 단면 확폭을 통하여 다양한 복원기법을 적용하였다. 그 결과 수리학적으로 유리한 저수로 물길 복원 조성의 경우 현상태의 하폭보다 감소하였기 때문에 서식처가 악화되는 것으로 나타났다. 그러나 다양한 복원 기법을 적용하였을 때 서식처는 약 11% 정도 향상되는 것으로 나타났다.